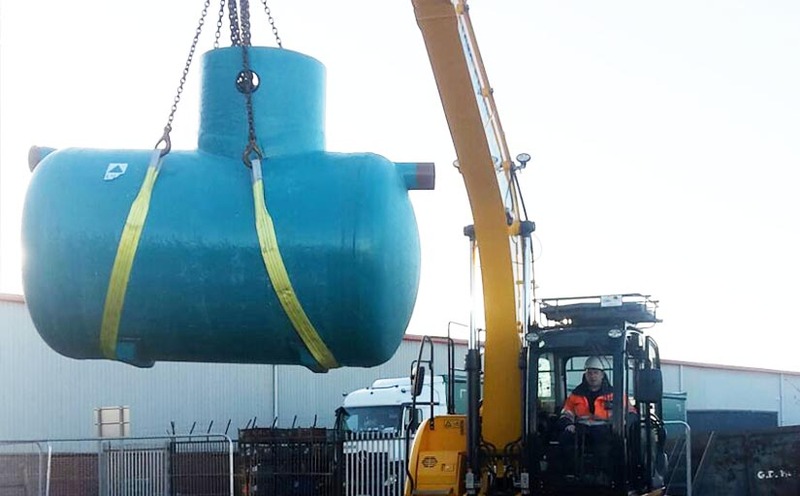 When installing an oil interceptor it is vital that a suitable system is installed to cover the risks on site. Often we visit sites where the oil interceptors we are maintaining are not fit for purpose e.g. Class II systems installed into storm drainage and as such additional controls need to be implemented. Installing an interceptor is a significant investment so it is important to get it right first time. When deciding if you need an interceptor and what interceptor you require there is a lot of information to consider. Our interceptor specification consultancy will determine whether an interceptor is required and if so the necessary specification. Our assessments can be conducted at the design stage of a project or retrospectively where you want to know if your current interceptor is fit for purpose. Our service will provide a written report documenting all relevant information and concluding with a number of prioritised options. If an interceptor is required we will provide a specification in line with all relevant legislation e.g. BS EN 858, the Water Industry Act 1991 and the Water Resources Act 1991. 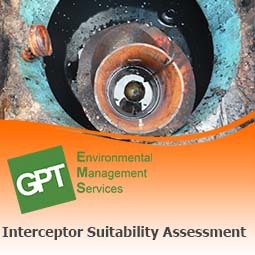 An interceptor will not always be required and often the risks can be sufficiently mitigated by installing alternative additional controls such as, drain modifications, secondary containment and drain closure devices. Do I need a class I or class II interceptor? Class I interceptors have coalescers installed which remove emulsified oil and have a maximum permissible discharge of oil of 5 mg/l. Class I interceptors can discharge to the storm system but are more expensive. Class II interceptors are generally only gravity fed and have a much higher maximum permissible discharge of residual oil of 100 mg/l. Class II interceptors can discharge to the foul system, however they are less expensive. Do I need a bypass interceptor or full retention interceptor? Full retention interceptors will capture and treat all liquids discharged in their catchment area. Bypass interceptors can allow flow rates in excess of the maximum permissible flow to bypass the interceptor, allowing the liquid to leave site untreated. 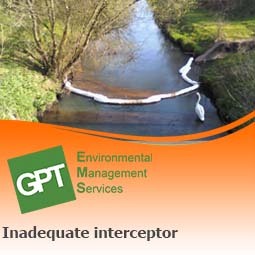 Bypass interceptors can be used in areas where the catchment area may be large but the risk of spillage is low e.g. car parks. What size interceptor do I need? Pollution Prevention Guideline 3 used to provide fairly simple equations for calculating the nominal size of an interceptor, the calculation was based only on the size of the catchment area in m2. However, since the withdrawal of the PPGs in 2015 these equations can no longer necessarily be used as a reliable guide. The most reliable calculation for determining the nominal size of an interceptor is given in the British Standard BS EN 858-2:2003 the equation is NS = (Qr + Fx × Qs ) Fd and takes into account maximum flow rate of rain water, maximum flow rate of trade effluent, density of the oil and the presence of any substances that may impede separation e.g. detergents. To calculate the above you will need to have a local site risk assessment to establish the activities and risks present in the catchment area as well as a drain plan to ascertain the maximum flow rate. Do I need a sludge trap for my interceptor? Most interceptors will have to have sludge storage capacity; however some may need a larger sludge capacity than others either as a separate unit or as an integral part of the interceptor. This will be calculated based on the nominal size of the interceptor, the density of the oil and the activities taking place in the catchment area (low, medium or high risk of sludge discharge). Certain activities will also have special requirements for example automatic car washes require a minimum sludge trap volume of 5000 litres. As well as the general considerations interceptors operating under certain conditions e.g. transformer stations must be reviewed on a site-specific basis. 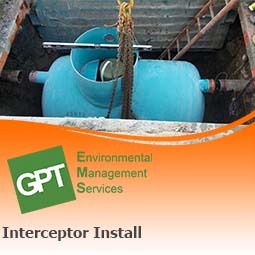 Interceptors receiving trade effluent from industrial manufacturing processes require the composition and properties of the wastewater to be investigated as the interceptor may need to be specially sized. There are also special considerations outside of BS EN 858-2:2003 which may be relevant in the design of an interceptor such as the addition of high oil alarms or automatic closure devices. In addition, there will be idiosyncrasies on site that will be recorded where appropriate and used to provide the correct specification for your Interceptor. "You may need to install an oil separator (interceptor) or other device to remove oil from water draining off hard surfaces, eg roads and car parks, or loading areas. The type and class of separator needed will depend on the activity and where the discharge is directed to"